Item # 312909 Stash Points: 13,995 (?) This is the number of points you get in The Zumiez Stash for purchasing this item. Stash points are redeemable for exclusive rewards only available to Zumiez Stash members. To redeem your points check out the rewards catalog on thestash.zumiez.com. Get a cost effective and compact cruiser with the Dusters Flash Back Off White and Orange 31" Cruiser Complete Skateboard. This classically shaped cruiser features a flat and short nose accompanied by a long, steep and square kick tail for a controllable ride with tons of pop for ollies. Tensor trucks keep the ride stable, even at speeds, while 62mm Dusters brand wheels help with acceleration speed and traction. 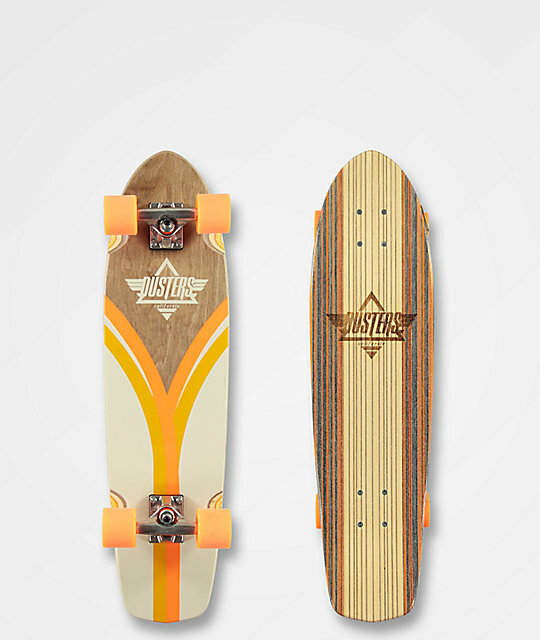 Flash Back Off White and Orange 31" Cruiser Complete Skateboard from Dusters. 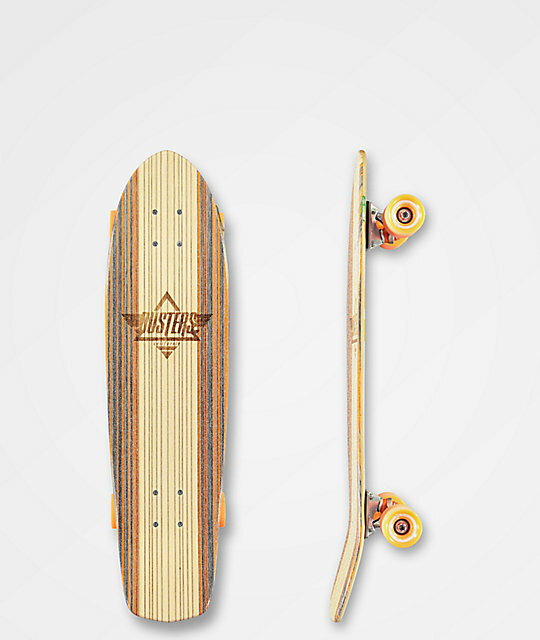 Shaped deck with short rounded nose and square kick tail for added control. Brown and orange striped pattern graphic. Custom graphics on both bottom and top veneers. Cutout wheel wells for reduced wheel bite. 4.75" Tensor trucks with tapered 1/2" to 1/4" rubber riser pads. Clear grip tape applied to top.